Luton salvaged a crucial point as Jason Cummings scored late on to draw 2-2 with Blackpool on Saturday. 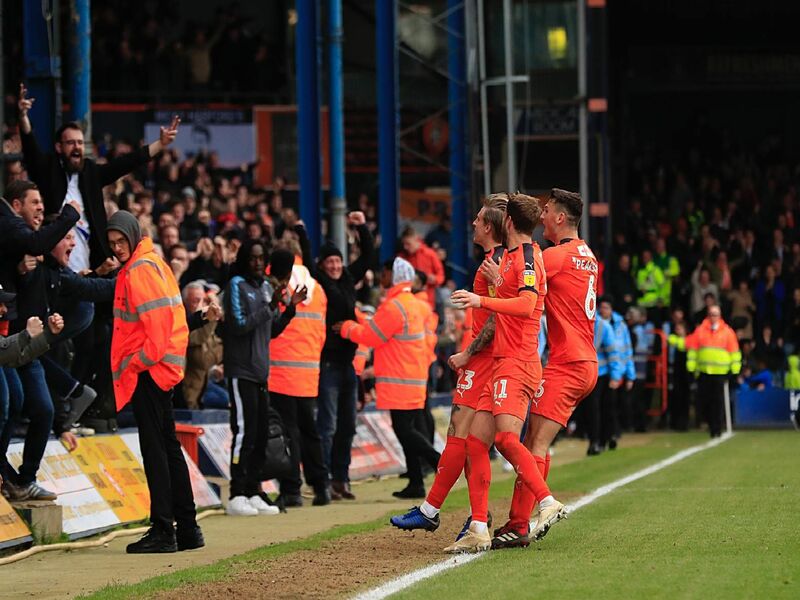 Striker James Collins had broken the deadlock early on, but was then sent off as the Hatters had to fight back, playing with 10 men for half an hour. See how Town's players rated on the day here. Got caught out slightly for the first goal, but fully redeemed himself with a top save from Gnanduillets header and an even better stop when the striker was through at 2-1. Swept up impressively as well. Found it hard to enjoy the kind of dominance he has in recent weeks on the right hand side, with Blackpool closing the gaps effectively at the back. Set-plays were once more a real threat for Town, Pearson in particular going close from one dangerous corner. Drove forward well, as he linked with LuaLua excellently. So close to making it 2-0 as his header cannoned off a covering defender and then cross almost outfoxed Mafoumbi. Found Gnanduillet a tough opponent at times, the striker getting above him to test Shea.